Made to measure – It’s the most intimate product created, because it is precisely tailored just for you. Whether you are looking for a vast range of colors, patterns, or fabric quality, or if you simply have a specific model in mind with certain designs and details that cannot be found in most of the offered collections, Granoff’s „Made to Measure“ program allows you to create your own exclusive personalized garment. 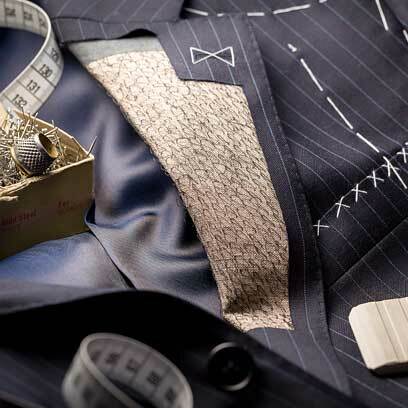 We offer the possibility to create „Made to Measure“ shirts, suits, coats, blazers and trousers. After our team of experts have chosen an array of the world’s finest fabrics for this programme, they are then inteded to be fitted to the clients personal tailoring according to the client’s individual measurements. Each garment is usually tailored within three weeks after the order is placed. 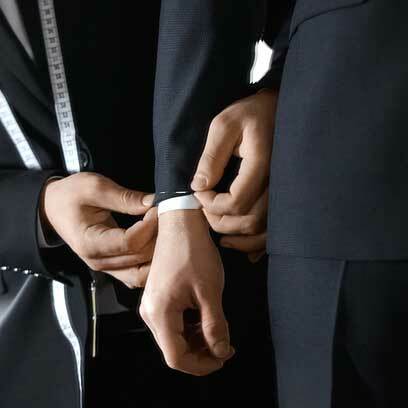 Granoff’s „Made to Measure“ service aims to satisfy the clients who demand the very best. We offer an exclusive service dedicated to unique, distinctive products made with signature attention to details, giving the clientele an endless inspiration and opportunity to be their own style makers.